One of the struggles of parenting a kid interested in video games is getting them away from the screen. But there are numerous real-world activities that gaming can be a path into, including summer camps, tournaments, and more. But the big dates on devoted gamers' calendars are the conventions – massive gatherings of developers, publishers, cosplayers, and, of course, players. 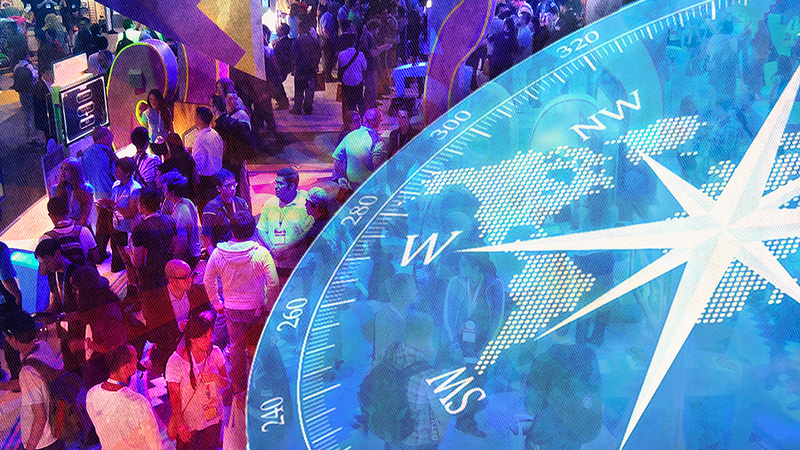 Conventions have come a long way since the early days of E3 in the 1990s – where they used to be exclusively for industry professionals. As gaming has become a mainstream industry, they’ve expanded to cater to the general public as well. Now the United States hosts dozens of cons catering to just about every demographic. Video game conventions can be a lot of fun, but if you really want to get the most out of your admission, it’s good to keep a few things in mind. Here’s a survival guide to the con scene for parents and kids. Typically occurring every year, a gaming convention is a public event where developers and publishers show off new and upcoming titles to gauge fan response, get press coverage, and generally promote their products. These conventions are big deals, often occupying massive exhibition halls or stadiums. They typically feature a show floor where you can walk around, play demos and games, sometimes buy merchandise like T-shirts, toys and other swag, and meet industry personalities. Most publishers also have private rooms where they do more exclusive demos for the press. Conventions also host events like tournaments (where pro and amateur gamers compete for cash and prizes), cosplay pageants, panel discussions, and more. Typically the convention itself will have a fixed admission cost and included events are free, but some tournaments charge an additional entry fee. Once you agree to take your kid to a convention, it’s important to set clear limits out of the gate. Set a time for arrival, a time for leaving, and, if you’re giving them money to spend, a set limit. That way they will have to make meaningful choices about what they spend their convention doing. It’s very likely they won’t be able to get everything in. And that’s fine! It’s also important to schedule yourself. Conventions are stacked affairs with more events than one person can possibly do, so time management is essential. Get a copy of the program schedule and sit down with your kids so they can mark off their must-dos. Not only will this help them get the most out of their convention pass, but it will also help them learn the very adult skill of not over-committing. Bring water and snacks. Conventions typically have some on-site food, but it’s usually not very good and way too expensive. Packing your own can save money for merchandise and other fun stuff, which your kids will appreciate a lot more than a reheated soft pretzel. It’s also a good idea to build in break time during the day. Conventions can be extremely overstimulating, and letting the brain and senses rest for fifteen minutes can prevent headaches from setting in. Step outside, breathe some relatively fresh air, and cool down. It might be hard to convince your kid to step away, but make it a requirement. While spending a day of your life in a hot, noisy convention hall celebrating electronic entertainment doesn’t always sound appealing, there’s more happening than just gaming. Cons have been working to reflect the changing face of the industry in numerous ways. One of the most important things about conventions is the sense of real-world community they engender. If you have kids who game, you’ve probably already noticed that the online world can be pretty cruel and unpleasant. But, amazingly, when you get a bunch of gamers in the same room, the trash talk seems to evaporate when they don’t have the veil of anonymity to hide behind. It’s useful to see that negativity isn’t the default state for video game fans. In addition, many major conventions are actively working to create a more diverse experience, spotlighting game creators of color and from different backgrounds. Shows like PAX have “diversity lounges” and program tracks for underserved populations, and the demographics at these conventions can be varied, letting your kid see how gaming can unite people of very different backgrounds. And, finally, the biggest benefit can be in strengthening the bond between you and your child. Parenting experts agree that showing real interest in your kids’ hobbies can help them relate to you better. E3 is the longest-running and most “professional” of the shows. Standing for Electronic Entertainment Expo, it debuted in 1995 to provide a space for the gaming industry to debut new products for the press and retailers. Held at the Los Angeles Convention Center, it was closed to the general public until 2017, when they issued 15,000 general attendance passes. As a trade show, it’s a little less “fun-focused” than some other shows, but if your kid is looking to pursue a career in the industry, it’s a must-see. PAX is right now the biggest gathering of gamers and pros in the world. Founded by the Penny Arcade webcomic, the first show in 2004 was attended by a little over 3,000 people and it’s grown exponentially since, with last year’s Boston show drawing 80,000. In addition to early looks at upcoming games, attendees can meet and greet culture heroes, compete in gaming tournaments, and more. One of the best aspects of PAX is the multiple locations – in addition to the Seattle original, they also do an event in Boston, San Antonio, and even Melbourne, Australia. Game Developer’s Conference is the event to go to for prospective designers. Held every year in March at the Moscone Conference Center in San Francisco, it has been running since 1988. In addition to a show floor where independent developers tout their projects, GDC boasts an incredible selection of panels, talks, and demonstrations covering every aspect of the development process. The show also hosts the Independent Games Festival, where the winner receives $30,000. BlizzCon is one of a few events put on by a single publisher in order to give back something special to fans of their games. In this case, it’s Blizzard, creator of Overwatch, World of Warcraft, and other industry-changing hits. At Blizzcon, the draws are Q&A with the creative staff behind the games, the chance to buy exclusive swag, and a star-studded concert to close out the final day. Other similar shows include QuakeCon for fans of the FPS franchise and MineCon for Minecrafters, which has in recent years transformed from a physical event to an online-only stream. Going to a gaming convention with your kid can be a really great way to explore their interests without having to sit down with a controller in your hand. It can help them socialize, pique their interest in a future career, and share their love of gaming with you.